May I ask: that is a pretty harsh looking scar. Did it heal flat? It’s starting to heal flat. Part of what makes it look so raised in that photo is that they use a kind of flexible superglue called dermabond instead of stitches on the top layer (there are several layers of stitches underneath, though.) 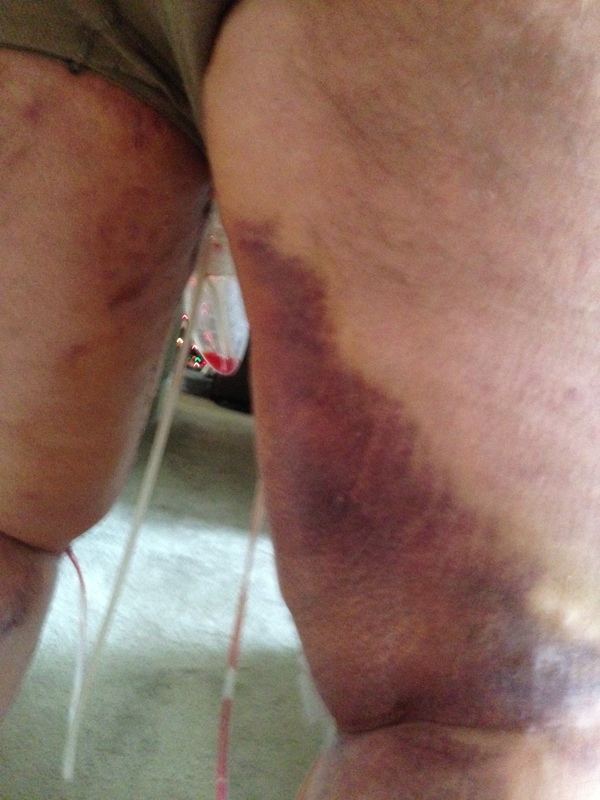 The scars from my circumferential are very flat and healed nicely; those incisions were closed in the same manner. Were they able to remove evidence of HS with this surgery? 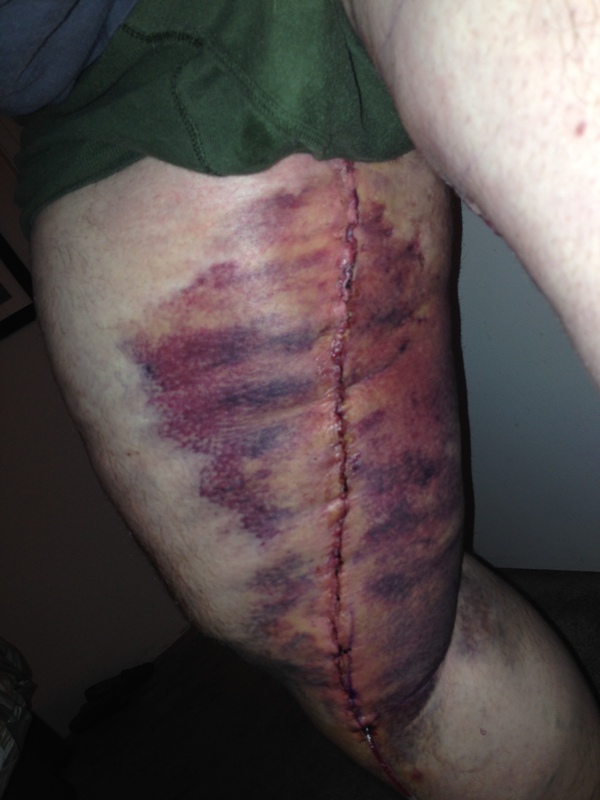 Yes, the surgeon that did this was able to excise about 60% of the tissue in the inner thigh that was afflicted by HS. It’s been a little over two years now and it’s still a lot better. It isn’t a perfect solution by any means, as there’s only so much tissue that can actually be removed. He removed some of the worst afflicted areas. I still have occasional bumps show up but the cysts aren’t anywhere near as severe as they used to be.